Campus Cupboard invites students to choose non-perishable food and personal hygiene items for free (limit 12 items per student). Campus Cupboard will be open twice monthly, always on the last week of each month. *Bring your StarID to sign in. Contact Hinnah Ayub with questions. Cambridge's Food Shelf invites students in need to choose non-perishable food and personal hygiene items for free. The Food Shelf is open any time campus is. We ask students using the resource to complete a simple survey to receive food or hygiene items. Contact Elise Kazmerzak with questions. 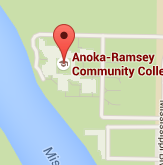 Graduating from college? Congrats! Remember to look at your health insurance options so you are covered. If graduating means losing your health insurance, you may qualify for a special enrollment period. You can stay on a parent's plan if you are younger than 26, or you can enroll through MNsure on your own. Contact Joyce Traczyk with questions. 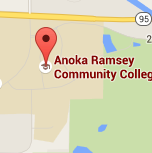 The following rental options are not affiliated with Anoka-Ramsey Community College. This information is provided for informational purposes only as a service to our students. Metro Transit College Pass: Purchase a College Pass to get unlimited rides on buses and trains for an entire semester. Students can find information about ride sharing at the Ride Share Bulletin Board in the Student Center hallway located on the Miscellaneous Board, online at www.MetroTransit.org or by telephone at 612-373-3333.